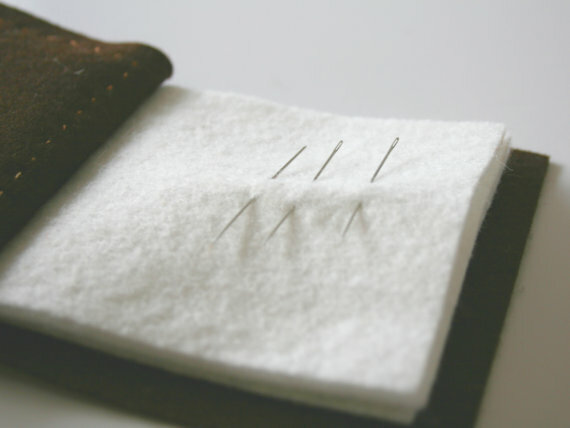 I just adore needle-books. They come in so many different designs and styles and there is a special one out there for everyone. 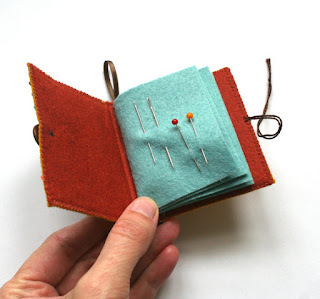 Needle books can be super simple and utilitarian or absolute works of art. 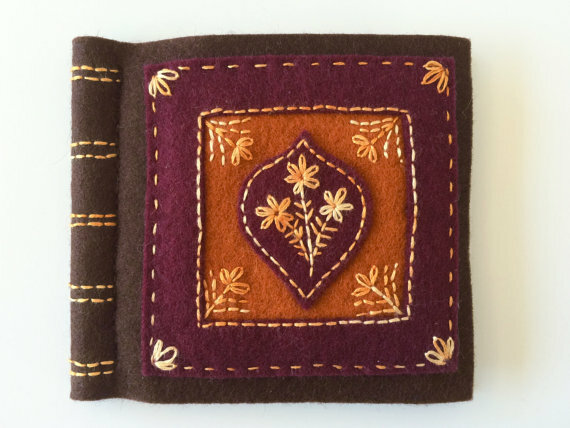 There are some really lovely needle books on etsy and I spent time looking through them all to find some favorites. In case you don't know what a needle book is I'll explain, they are literally a small book usually made from felt or linen with a design on the front and has 3 or more "felt pages" to hold your needles. 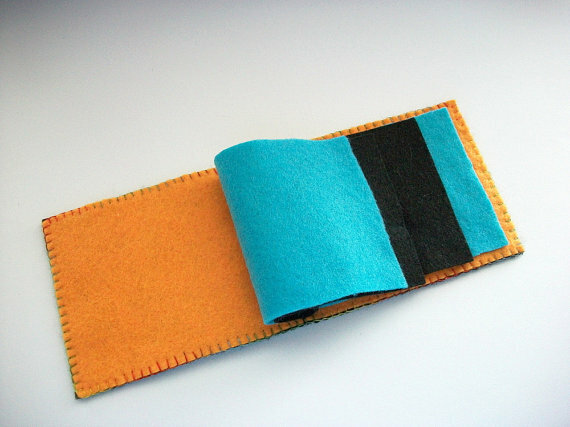 They are compact and easy to carry around so you can sew anywhere. 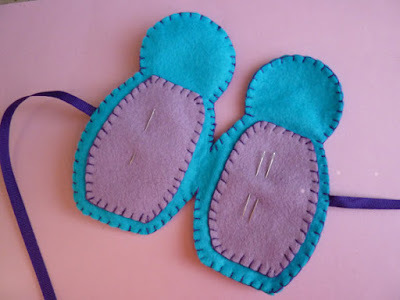 It's also harder to lose your needles when they are stored in something so pretty. 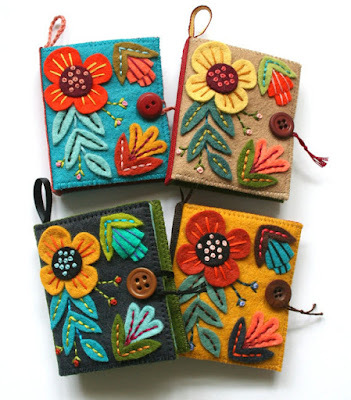 I picked 5 of my most favorite needle book designs on etsy to share with you today. 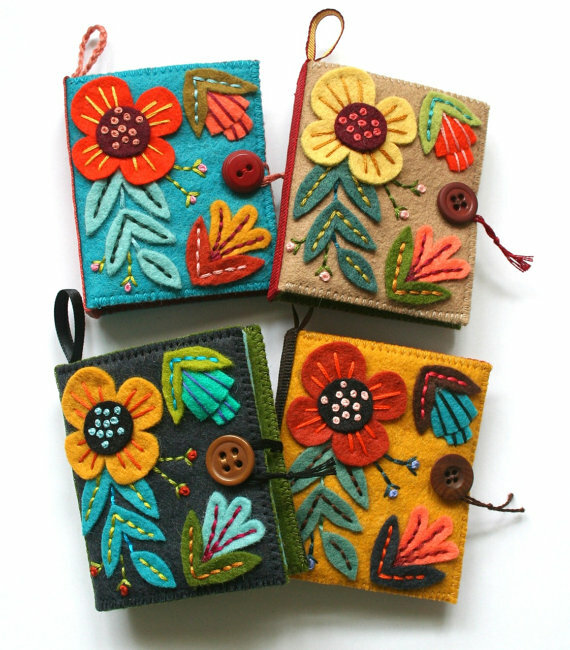 My hands down favorite are these gorgeous needle books from MMM Crafts. A very talented woman named Larissa Holland is the designer of these lovelies. I've followed her blog for years and I have a felt girl crush on her. Her patterns are outstanding and I'm going to do a post just devoted to her soon. These needle books are available as a diy pattern so you can pick your favorite colors and make your own special one. I'm a real book lover not a KIndle lover so I find this awesome "antique leather, hardcover book" design to be so very charming. Unfortunately it's not a pattern, you have to buy the finished product. I wish it was a pattern cause I'd make one in a heartbeat, that's how much I love this design! This color palette is my favorite. 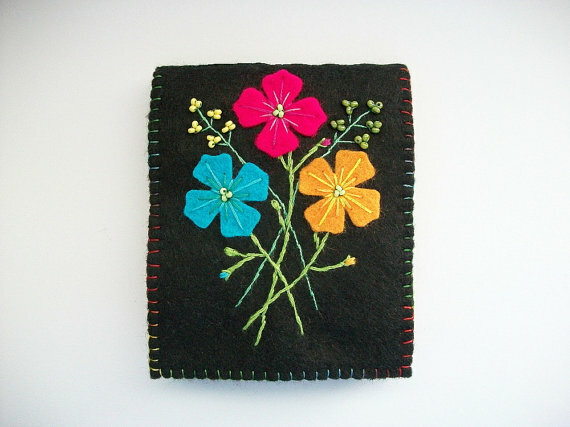 This seller makes a lot of different kinds of needle books and I had a hard time choosing just one, so please go visit this shop and see the other great designs. I adore super cute things and I found this design to be so whimsical and fun. 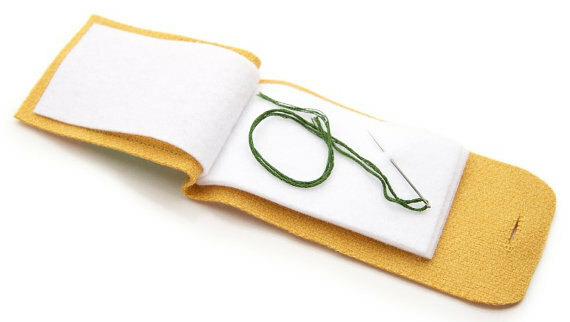 This needle book is a different size than needle books normally are which allows you store larger and longer needles. The button closure detail is different and fun too. This seller also doesn't offer patterns so you'll need to buy the physical product. 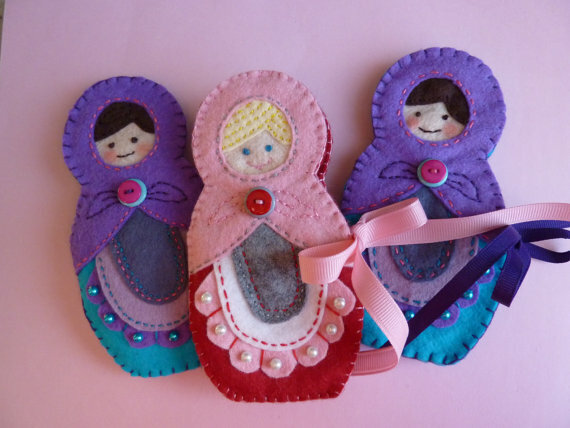 What a darling matryoshka doll needle book! I have loved Russian nesting dolls since I was a child and had a great wooden set years ago. 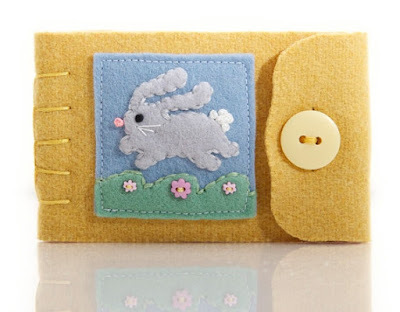 Such a cute and a lovely place to keep your sewing needles. This is also a physical product and not a pattern. I checked this shop before I posted this and this particular needle book has been sold, but if you love it I'm sure the seller will make another one for you. Last but not least is this beauty. I love how the bright colors pop off the black background and the embroidery is very nice too! This maker carried the colors from the front to the inside, making this a special treat for the eyes. This is another physical product and there are many to choose from in this shop. I hope you enjoyed seeing my 5 favorite needle books from etsy as much as I enjoyed finding them for you!